Richard Lachman is Director of Zone Learning for Ryerson University, a network of 10 incubators across the university. 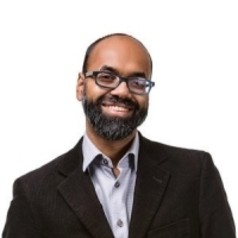 He is also Director of Research Development for the Faculty of Communication and Design (FCAD), Director of the Experiential Media Institute, and an Associate Professor, Digital Media in the RTA School of Media at Ryerson University. The Gemini-award winning producer is a creative and technical consultant for new media projects, primarily focused on entertainment and transmedia media properties. He holds a doctorate from UNE in Australia, a masters degree from the MIT Media Lab's "Interactive Cinema" group, and a computer-science bachelors degree from MIT. His professional projects have included partners such as Discovery Channel Canada, the NFB, CTV, CityTV, and the Banff Centre for the Arts, and his works in the computer games industry have shipped millions of copies and been featured in the New York Times, USA Today and Time Magazine, as well as being part of an exhibition at the American Museum of the Moving Image in New York. Richard's research interests include convergent media, digital documentary, collaborative work, and new forms of storytelling. He teaches classes in digital media, interactive art, animation, digital documentary, virtual environments, and digital culture.